I am so pleased to share this lovely feature on the Spirit Books in the online magazine, Don't Take Pictures. 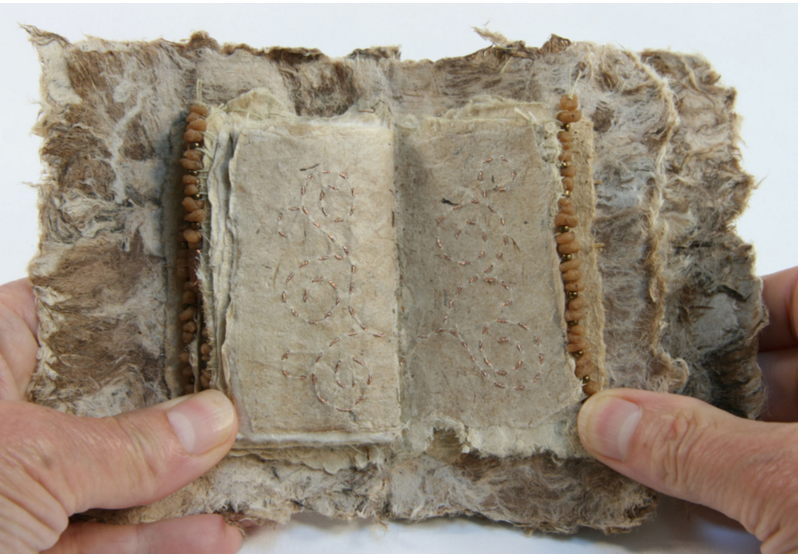 "Aesthetically, her artist books have the appearance of found woodland objects. Whether perceived as a product of an ancient people or originating from the woods themselves, Kapuscinski Gaylord’s Spirit Books leave her audience questioning their origins and their meaning." You can see the page here. While you're there, take a look around. There's lots more to explore.